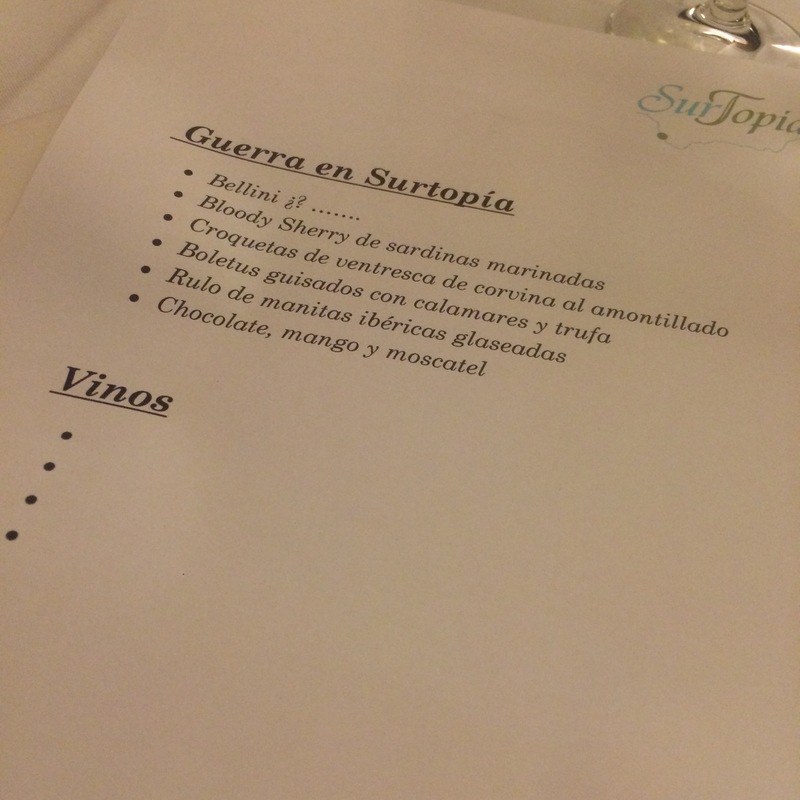 Brilliant night last night at one of my favourite places in Madrid – Surtopia. 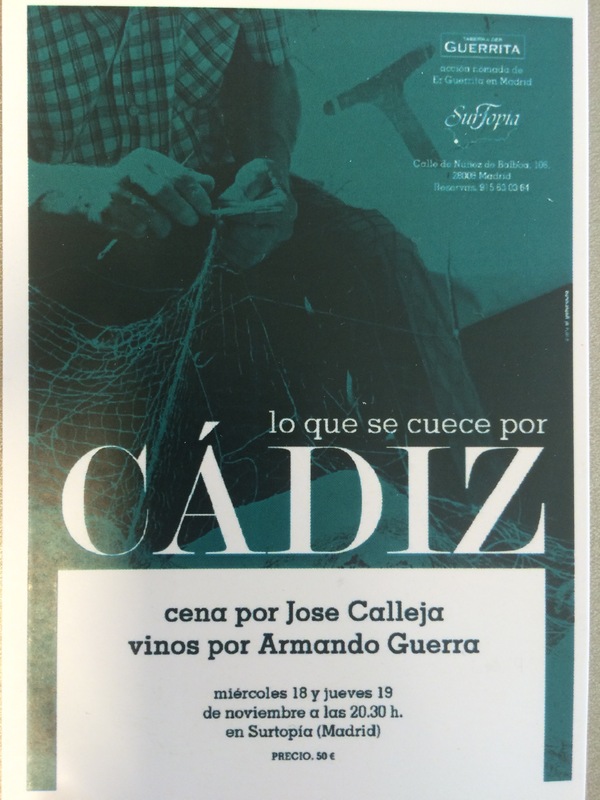 As I trailed a little while ago, it was the food of Jose Calleja and the wines of Armando Guerra (of Taberna der Guerrita fame). Two great lads from Cadiz it always promised to be a fun event, and filled a room with sherry fans of every colour and stripe (from sherry women to Parker’s man in Madrid). 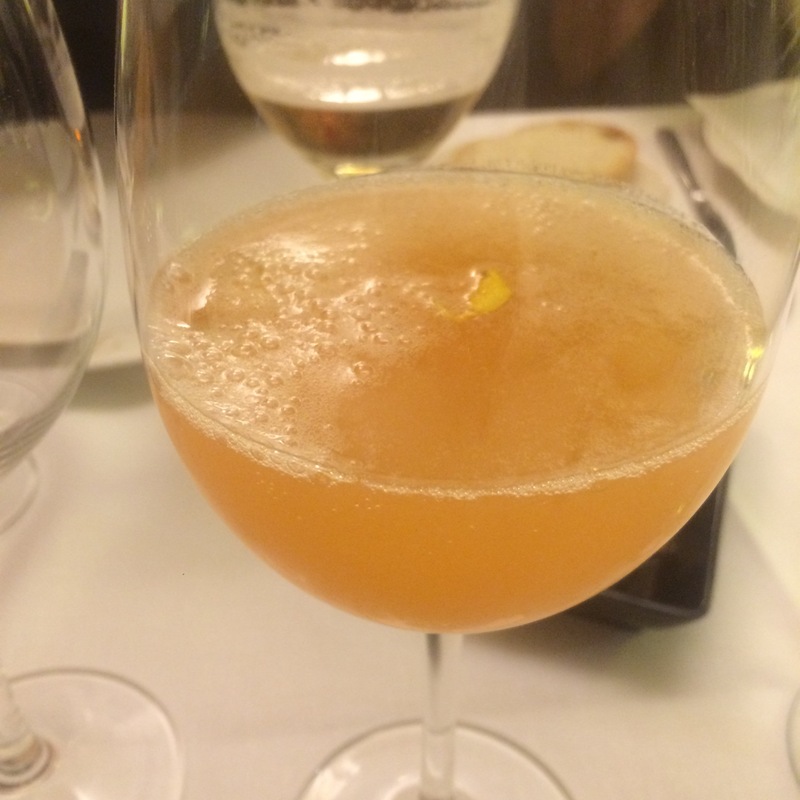 It kicked off with this “bellini” of cantaloupe melon and “Beta”- a sparkling palomino and (10%) chardonnay by Barbadillo. Not a lot you can say about a wine when it is mixed with cantaloupe but it did the job. (To be honest, though, the end result was not that different from an ancestral method mosto that I opened a while ago.) An interesting start alright. As you can see below, the dance card did not list the wines – we tasted them blind instead. First up was a tasty “bloody sherry” (fino, not vodka) with a brochette of marinated sardines with this, mystery wine # 1. Well, my guess was an unfortified palomino and I was on the money – it was Tosca Cerrada, by Mario Rovira. Had spent 12 months in an old sherry barrel (and is named after the specific type of albariza soil of the vineyard). 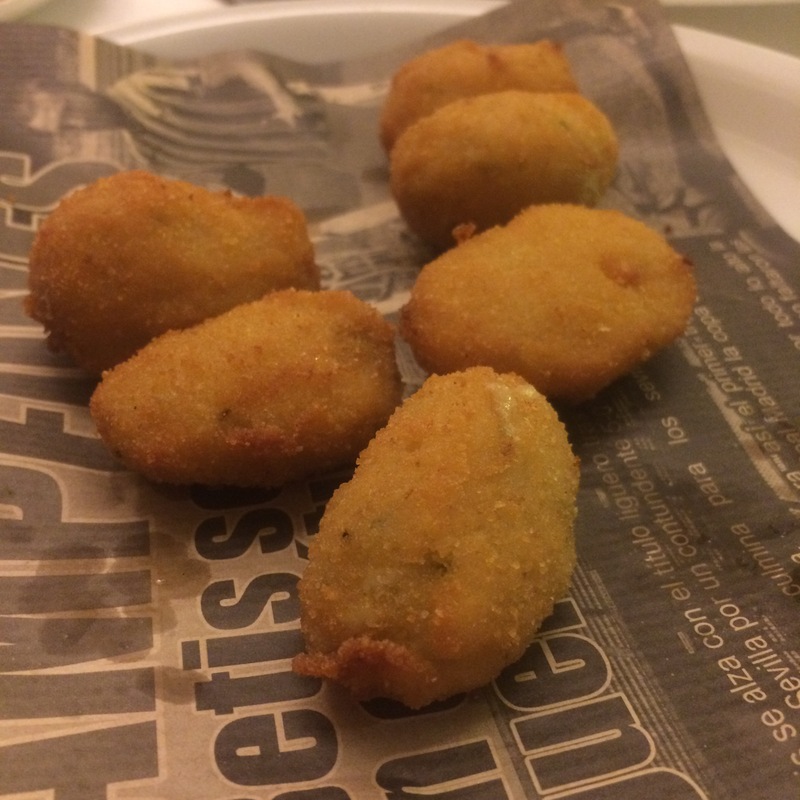 Next, and although this is not a food blog, these croquetas -corvina in amontillado- were awesome, and deserve some serious attention. They came with this, Mystery wine #2, which I tweeted as “butter, cheese rinds, sherrified but not sherry, grapefruity”. Now when I read that back I would say immediately Jura (I even tasted Comte cheese and had the note “jura?” scribbler in my notes) but at the time I was so convinced it would be from around Cadiz I would have been prepared to swear it was Encrucijado. Not so my colleague and table mate David, he nailed it: Macle 2009. 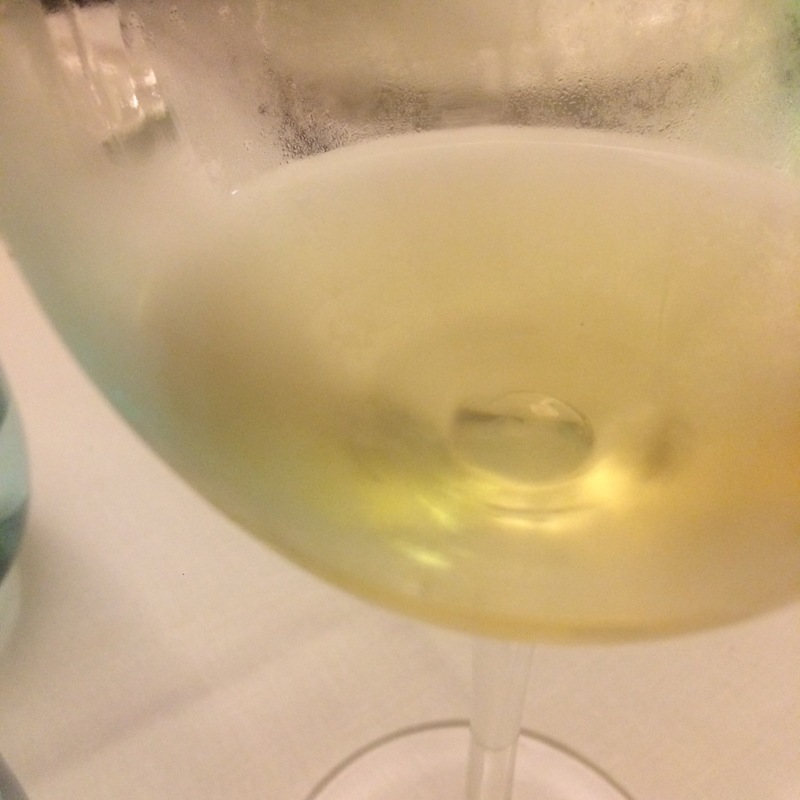 Lesson here: taste the wine, not the hype or expectation. We finished off the Jura with an intense boletus, calamar and truffle stew. Another brilliant dish and an excellent match. 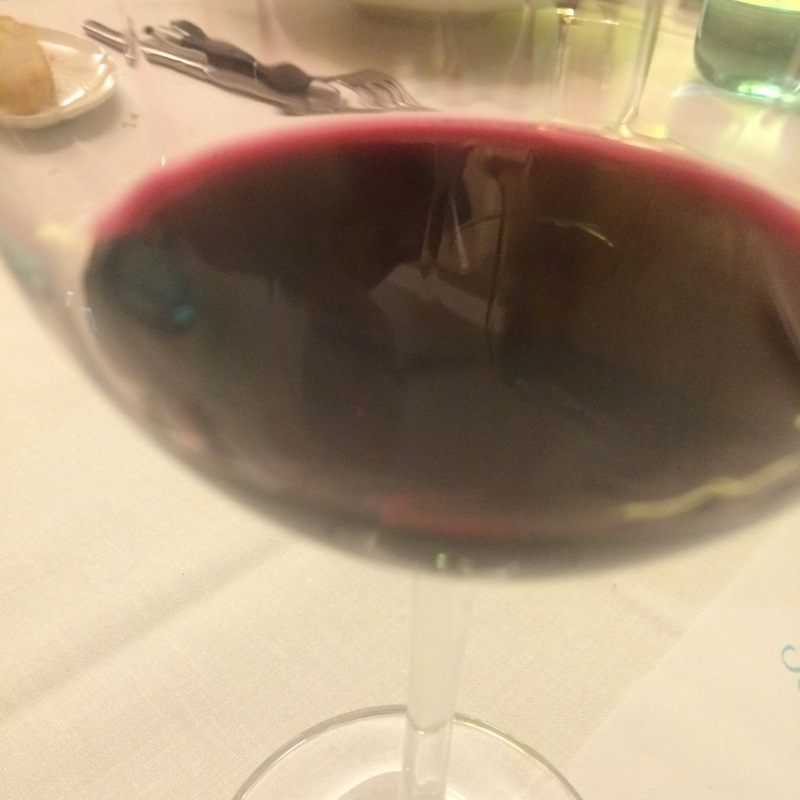 Then, with a meaty, rich pig trotter roll we had mystery wine #3 – which I tweeted as being “young, unshaven, oakshy, shiraz, fruit, maceration”. My guess was a superyoung, unoaked shiraz, but here I made the opposite mistake: I was right that it had never touched a barrel but this one was Cadiz through and through. It was a tintilla de rota, a classic red varietal that is making a comeback. Again, should have listened to my table mates – Guille the boffin picked it perfectly. To be fair, it was nothing like the tintillas I have had before: normally a big meaty tablewine or even a sweet dessert effort. That just left mystery wine #4 which was, in few characters “barrel juice – coffee, cedar, acid, bitterness”. The concentration was way over the top – it reminded me of the bottom of the barrel Garnacha I had a while ago. 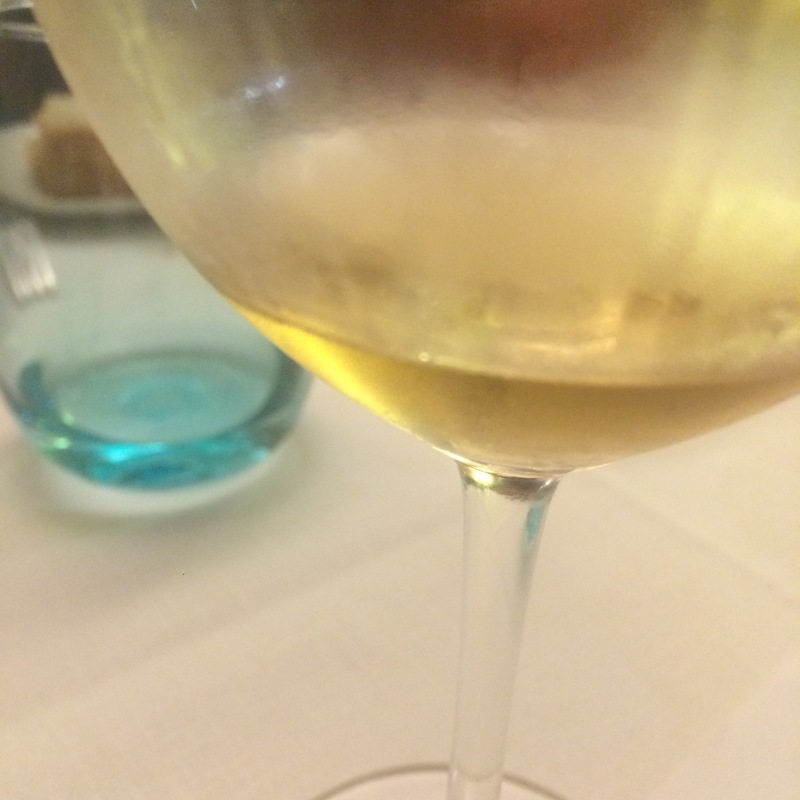 I had it down as something super old – I reckoned an ancient moscatel in fact. 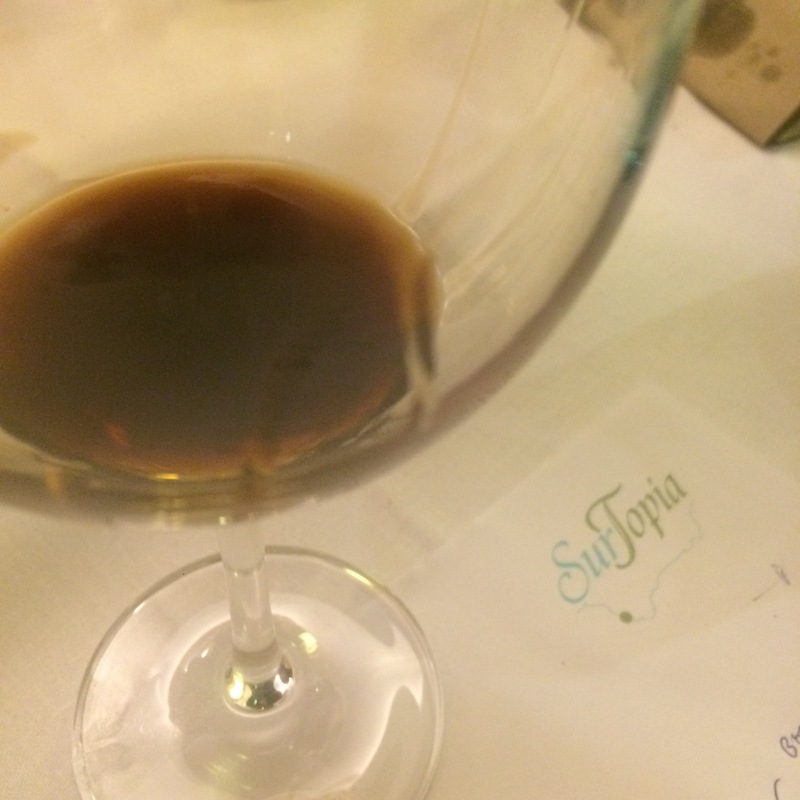 In the event I only got it halfway right – it was a Quina, released by Barbadillo from barrels “found” in the bodega that had not been refreshed in over 30 years. To be fair, I have never knowingly had Quina before (or heard of this).